Welcome to Lakeview Doodles of NY! 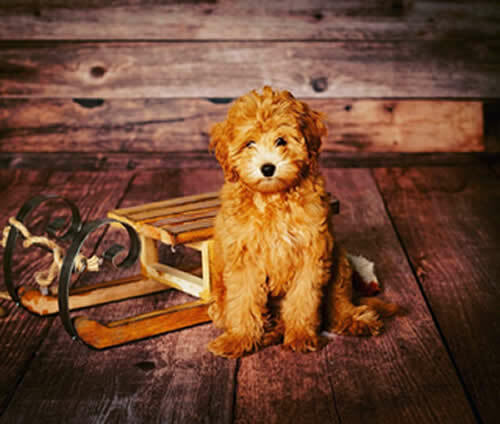 Since 2004 our mission has been to be dedicated breeders of high quality, family raised Miniature, Petite, and Tiny Petite English Goldendoodles, Labradoodles & Double Doodle Puppies. We care about our dogs, so to get them off to the best possible start, our puppies are raised inside our non-smoking, loving home with our children. This enables them to become used to the sights and sounds of an active family household. We have the good fortune of living on the shores of Lake Ontario located in Upstate New York, where we enjoy invigorating breezes with ample room to romp and play! On our website you will find information about, and photos of F1b and Multigen Goldendoodles and Double Doodles. We follow NYS guidelines and regulations. All of our breeding parents undergo extensive health testing, the results of which we would be happy to provide you with. When available, we also offer personal delivery of your puppy, and their starter kits, in the states of New York, Pennsylvania, New Jersey, Connecticut, Massachusetts, Ohio and Vermont. We will not ship or fly a puppy alone, but will welcome you to fly to get them. It is also possible to fly your puppy to you accompanied by one of our family members.